･Introduction to our color arrangement. 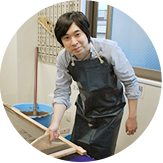 ･Dyeing tenugui by using pattern sheet (stencil) which is held by a wooden frame. 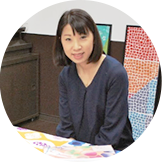 ･Different type of pattern sheets (stencil) are prepared on a monthly basis. ･’Katatsuke’- applying a layer of starch on the pattern sheet(stencil). ･’Senshoku’- dyeing fabric in many different patterns/motifs by using a wide selection of dyes. ･’Kiji-arai’ – washing to remove the starch and excess dye. ・1 group can dye a piece of fabric that is 1 tan in size. 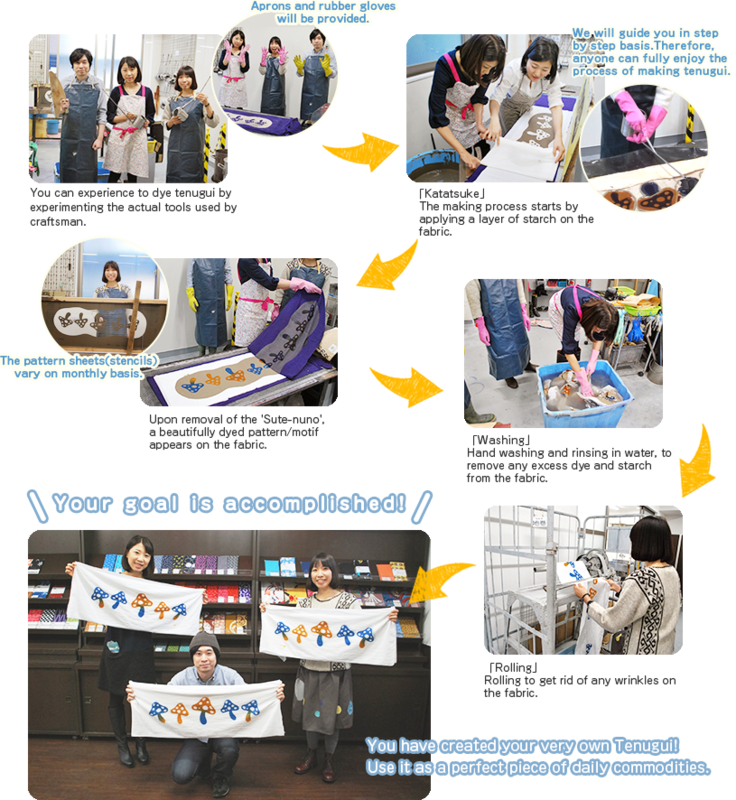 ・1 tan is able to produce 10 ～11 pieces of tenugui. ・Tenugui can dry fast. Therefore, it can be used as a hand towel, even it is a good choice as a wiping cloth and various usages in daily life. 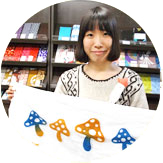 ・Create your own piece of tenugui bearing your characteristic continuously. Raised in Katsushika-ku, and living in Katsushika as well. Mr. Katsushika has a great interest about sights with residents in Katsushika. (from the series of comics titled “Katsushikashika”) on his website. the residents, items involved, etc. Ms.Doch produces and sell original cotton merchandise such as bags and mittens.